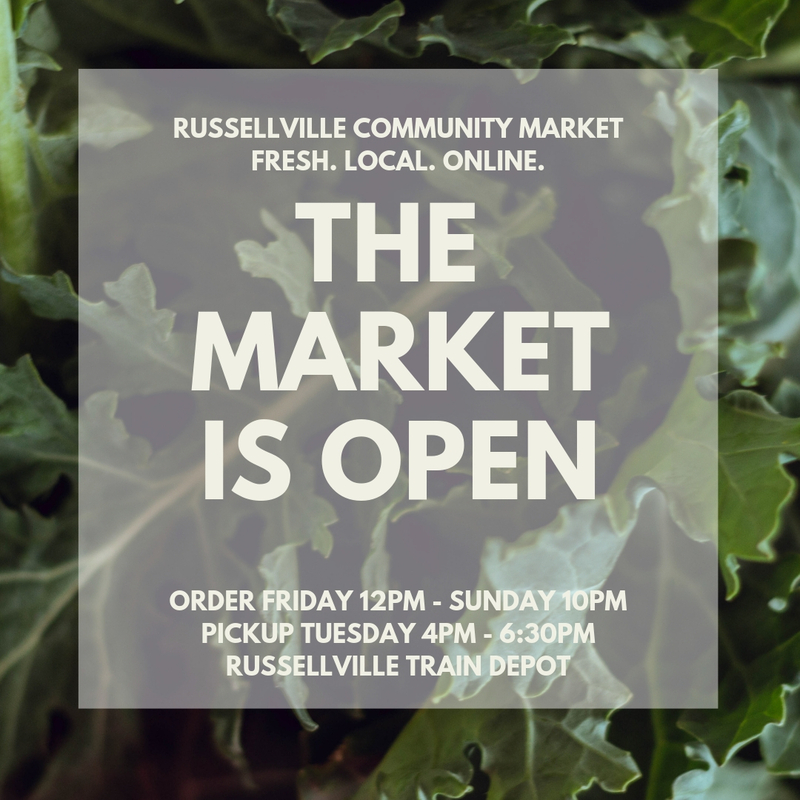 Russellville Community Market: The Market is Open! The Market Is Open! We have Carrots, T-Bone Steaks, Buttercrunch Lettuce, Local Honey, Pita Bread, Free Range Eggs, Fudge, and so much more on the Market this week. Augusta Locally Grown: THE OINE MARKET IS OPEN AT AUGUSTA LOCALLY GROWN! Visit the Events Calendar on our OTHER website: augustalocallygrown.org. From fermenting workshops to farm tours … we’ve got it “growing on” at Augusta Locally Grown! No Newsletter this week… I’m taking a news break this week but check out all the great items on the market! Linn Family Farm: This market is preparing to open! This market was added to the LocallyGrown.net system on Thursday April 04, 2019 11:39 PM. It should be open for business soon! Yes, the farm market is open this week if any one has need of it. A delightful crop of greens is prospering in the HobbitHouse, eggs laid up by the hens aplenty, meat of cow, pig and chicken fresh frozen and waiting. …nothing special. Just opening up the market, after a crazy busy week. But, as crazy as the weeks are, for me, I always love Thursdays. Thursdays are my zen day. I bake, and make soups, and get orders organized, and make sure all reports have been submitted, all while making sure everyone with orders have been alerted, or reminded, to grab their orders on Thursday evenings. But, once I get to the market, make sure products are delivered, vendor checks have been distributed, I’ve checked in with the Y, for any updates…I can then just be one with my people. I love the chatting, I love asking each of you how you are, how your week is going…many of you, I feel, have been with me for so very long, that we are family. This market…the weekly vibe of me writing to you. The craziness of keeping it all going. The loveliness of it when I open it up for order pickup, and then ending my Thursdays, coming to you, live, after reopening the market…it’s a love, a thankfulness, and a gratitude that I cannot explain. Go ahead…feel free to throw us some Thursday night love. Lilburn Farmers Market: This market is preparing to open! This market was added to the LocallyGrown.net system on Thursday April 04, 2019 10:41 AM. It should be open for business soon!